HOME - Aria Services, Inc. Aria Services, Inc, provides extensive engineering support for telecommunication infrastructure development. Beginning with the creation of construction drawings to handling structural analysis our engineering firm handles third-party services for the wireless telecommunication industry. Sophie, Hayden and Abby, interviewing the CEO of Aria Services, Inc. Aria Services, Inc. is proud to be a part of Goldman Sachs 10,000 Small Business Program. Aria Services, Inc, specializes in the structural analysis and construction drawings for telecommunication infrastructure anywhere in the world. As experts in our field, we handle the process of land planning, engineering and designing of structures, and eventual structural analysis for a variety of telecommunication towers. Aria Services, Inc., team members will review all the detailed zoning requirements as well as handle the process of building zoning drawings and construction drawings for your project. With a selection of Lease Exhibit and As-Built drawings, Aria Service, Inc., offers the perfect solution for building projects to specific specifications. Utilizing our proven designs available in our As-built drawings provided quality results in a streamlined process. Our expert team can perform extensive structural analysis on standard built towers including; self-supporting, guyed towers, and monopole towers. Aria Services, Inc., also performs structural analysis and inspections on building rooftop, stealth tower, and water tanks. At Aria Services, Inc., we have designed our teams to help you stay organized with pre-construction project management. Our team of experts will help get your construction project off the ground with pre-construction support and drawings. Aria Services, Inc., can perform on site visits and audits during construction to assist your staff with implementing design. Visits to your site allows our professional engineering and architecture teams to consistently help the construction and design process move forward. 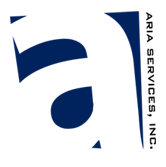 A wealth of third-party services are available through Aria Services, Inc. These services include environmental impact reports, geotechnical exploration, site audits, boundary surveys, foundation mapping, full tower mapping and more. In which state does Aria Services, Inc., have professional engineering license and/or engineering company certificates of authority? We are licensed in 42+ states, but please contact us for specific licences. Our company has all major third-party contractor prequalification through Avetta and Ariba, along with additional certifications and compliance managers are regularly tested to ensure compliance. What insurance coverage does Aria Services, Inc., have? What is Aria Service, Inc., project capacity? Aria Services, Inc., utilizes our efficient engineering staff and extensive network of certified contractors to respond to the fluctuating telecommunications market. With years of experience, our team can turn sites around 25 to 50 sites per week of our core products, such as site visits, construction drawings, structural and/or mount analysis and mappings. With simply 1 to 2 weeks lead time, Aria Services, Inc., can increase our total output volume by four times. Employing our knowledgeable project managers allows us to efficiently process sites in the matter of month, allowing our team to complete 300 to 500 sites in a month or two. Is Aria Service, Inc., available to work internationally? Yes, the Aria Service, Inc. team has experience working alongside major US based company to provided design, engineering, and third-party services to internationally. We do conduct all our transacting in US dollars. How will I keep track of my project? At Aria Service, Inc., we assign one of our knowledgeable and experience project manager to understand the client’s goals. Your professional point of contact is available daily to provide status updates, and address any concerns throughout your project. 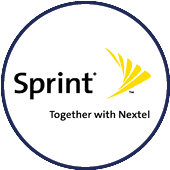 We want to tailor tracking, and communication to each customer’s specific needs. The low turnover rate allows our clients to form long lasting professional relationships with their project manager, project after project. call us at (713) 386-5066. We will respond to all email inquiries within one business day. Aria Services, Inc., provides extensive engineering support for telecommunication infrastructure development.